Analyzing what is happening today around the conflict between Russia and Ukraine, and has clearly overt confrontation between the US and Russia, we can definitely say that the situation is clearly not developing in favor of Moscow. Purposeful and accelerated buildup of armed forces of the Western bloc in eastern and south-eastern borders of Russia for Moscow was surprisingly swift response and reaction to it unleashed the military conflict in Ukraine. The KGB / FSB of Russia, came to power, headed by Putin and his power structure’s groups, are not accustomed to the actions and decisions in such a global emergency, they are grown and prepared for other purposes. And then hammering on both sides, though one hammer – Finance and Economics, and the second – the military. About diplomacy in Moscow, perhaps, be silent, her every now and then overwhelmed by storm waves. According to some services and structures, the Kremlin was in his own trap, “deftly delivered” by themselves. 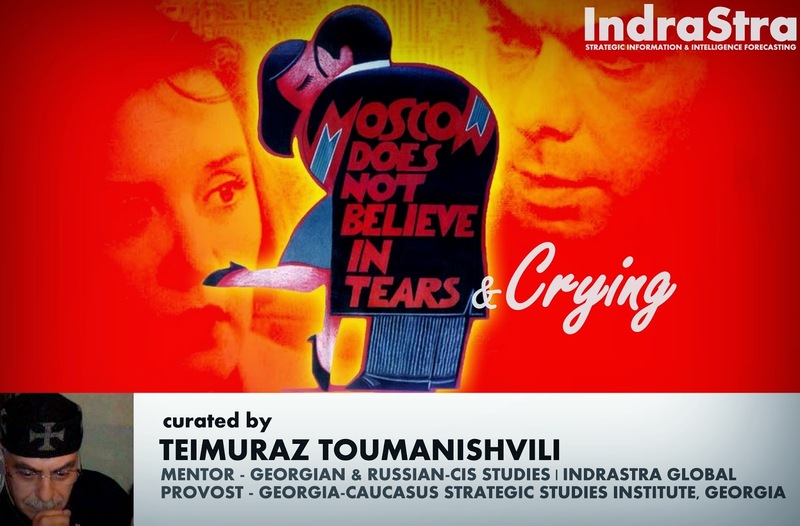 A series of wars and armed conflicts on North (both Chechen wars) and the South Caucasus (Abkhazian war – 1992-93 years, the war of 2008) revealed a single system of Russian military tactics and strategy, coupled with the notorious “diplomacy” in Moscow. The central axis of these actions is, as it were, an indirect participation of Russian troops and military in the South Caucasus and the direct actions of entire departments in the North. “Uncontrollable” Russian authorities militants-“volunteers” begin to seep into neighboring countries and are included in the fighting on the side of the separatists. In some cases, these mercenaries are formed teams of national or religious grounds. When the fighting part of the critical phase for the separatists, enters the fray Moscow “diplomacy” as a “pledge of peace and good neighborliness”. Include mechanisms truce and withdrawal of heavy military equipment from the perspective of both sides. The apparent truce beneficial primarily side, supporting the separatists, especially when it is a huge country with a very high material and human resources. After a well-promoted by the armistice already completed and provided with fresh “separatist” forces are making change in the fighting and forced a neighboring state to take a very unfavorable conditions, which leads to the loss of territories. In the Caucasus, in Georgia, this scheme worked well. Its well-studied in detail by local and foreign specialists. This region is, in itself, is very complicated due to geographical location, political, resource and ethnic-religious influences. The development is a deep, wide-ranging and long-lasting armed conflict is fraught with disastrous consequences not only for the whole of the Caucasus (both South and North), but for the whole of the Near East. In addition the region from north to south by two mountain ranges compressed – Greater and Lesser Caucasus, which gives a fairly significant advantage numerous missile systems on Russian bases on both sides of the Greater Caucasus. Even when the vast superiority presumed enemy aircraft air, it can lead to significant losses. But a very different picture in this regard is the East European Plain, which includes the territory of eastern Ukraine with Pridneprovsky steppes. Under these conditions, the element of surprise defense minimized as missile systems such as ground-to-ground. In the West Carpathian Mountains with a powerful springboard bloc countries – Eastern Europe Shield (Bulgaria, Romania, Poland, Lithuania, Latvia, Estonia), which is increasingly strengthened, as well as the Carpathian region, that closed border between Ukraine and Hungary / Slovakia . Ridge of enemy war machine, with massive involvement of troops, it is safer not to break down in the narrow gorges and tracts of the difficult mountain system, but ultimately in open area. Therefore, special services for the stabilization of the situation (and restore power balance in the partially occupied Georgia) in the region were advised to use in August 2008, the US Navy in the Black Sea. Another question – Does again in these conditions Moscow his favorite method of capture neighboring territories?